Picture this: you just brought home a new puppy and can’t wait to nuzzle that sweet, soft fur…but Fido won’t come near you. He’s clearly anxious in his new surroundings. Can you blame him? He has been taken away from his mama and his other litter mates and brought to a strange house with strange people who can’t stop making strange cooing sounds at him! It’s all just, so, well, strange! You’d be pretty anxious too, right? Fortunately, there are ways you can help calm your anxious pup! 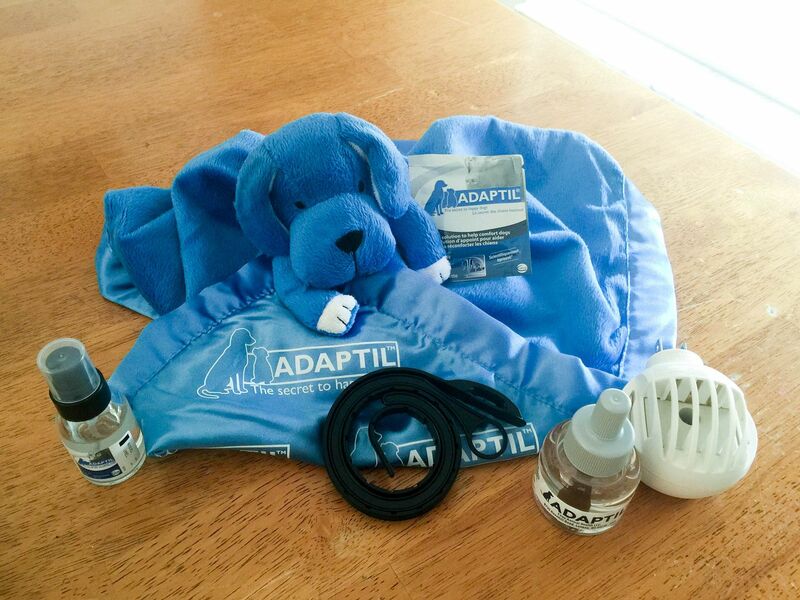 One great way is through Adaptil®! What is Adaptil®? It is clinically proven, non-drug solution created to reduce anxiety in your pup when they are in stressful situations (such as a new home). It works by using pheromones. We all emit pheromones, and mother dogs are the same, it is a scent their puppies recognize and see as a ‘happy scent’ which gives them a sense of security. 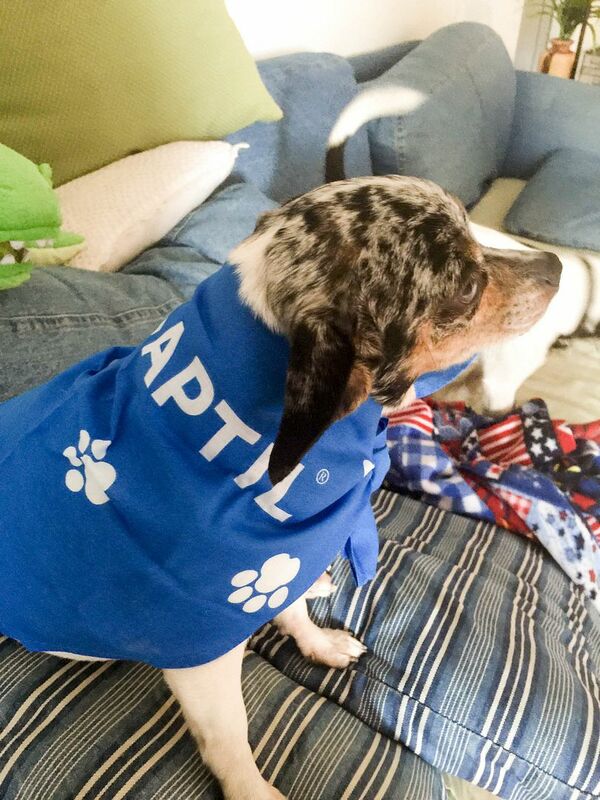 Check out how Adaptil can help turn your anxious pup into a #FearFree companion! 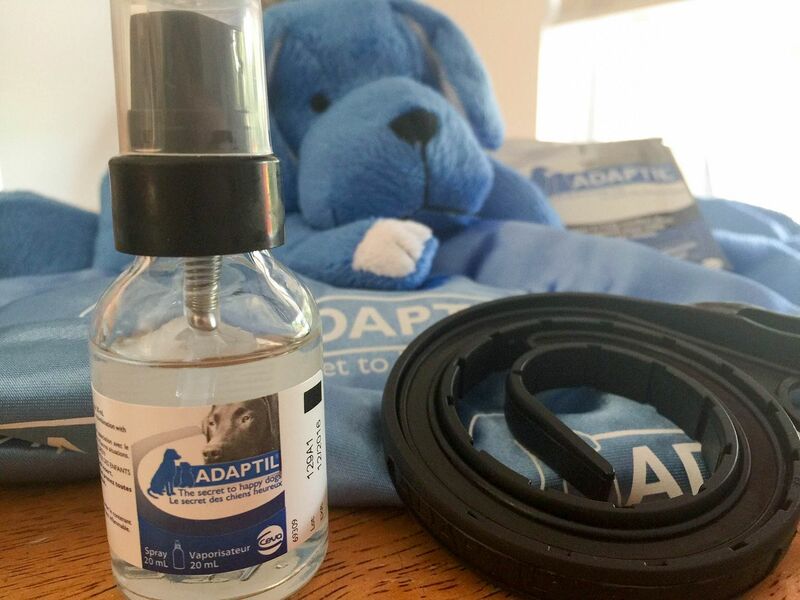 Adaptil®: If you have not tried this amazing non-drug solution for your dog to help reduce his anxiety, you are missing out! By using Adaptil® with your puppy (or dog, because it works for adult dogs as well), you are giving them a sense of comfort and security in times of stress (like when you leave the house). There are different ways you can use this product. 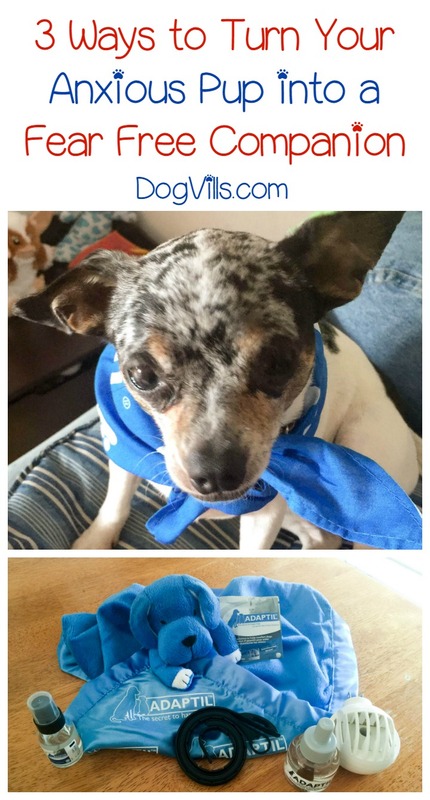 They have a collar your dog wears, for up to 4 weeks, or there is travel spray, or even wipes (to wipe on things like their favorite toy or bedding). They also offer a diffuser that lasts up to 30 days. Crate training: This might sound counter productive to you, but it really does work. Although you have to ease him into it, Adaptil® can help! 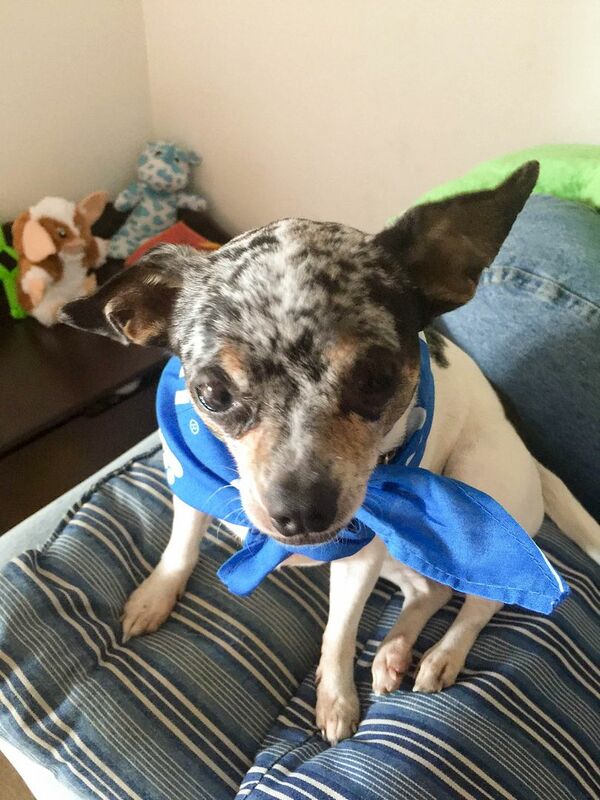 Start by coaxing him in his crate with treats for a few minutes at a time. Each time he goes in, make him stay a little longer. We did this with our pup when we moved. She doesn’t travel well and she gets anxious with new surroundings. She actually did not have a crate prior to moving, so the move and the crate were all new to her. Talk about an anxious dog! Adaptil® helped to calm her and give her a sense of security when we were not around. The collar worked great for all the time, but we also used the travel spray on her blanket and pillow my daughter placed in there for her. Let him explore #FearFree: New surroundings can make anyone anxious, puppies included! Adaptil® can help him remain calm and allow him to explore his new surroundings with confidence. 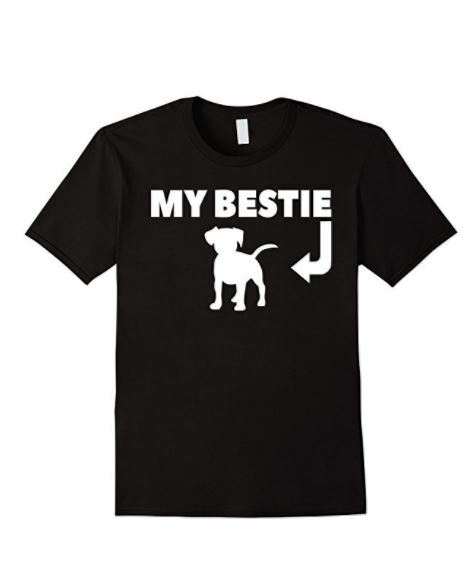 Put the collar on, and the pheromones will take over and give him a sense of security to allow him to check out his new digs. We use the travel spray to spray her bedding as well, and even some toys. We plugged the diffuser in as well, because it emits pheromones so she felt secure as she walked around her new place. Adaptil® is a great, non-drug way to help your anxious pup become #FearFree in a safe way. It has no effect on people or other animals as well, so you and your kids are safe to plug in the diffuser, or use the spray and wipes. Adaptil® will grow with your pup as well to help to keep him #FearFree in other anxiety ridden situations such as thunderstorms, car rides or even moves. Most clinics actually use Adaptil® products in their exam rooms! Find out more about this amazing product! Check them out on Facebook to keep up with news! Have you ever tried to calm an anxious pup? Share your tips in the comments below!